hd00:11Actinia anemone on background colorful corals underwater in sea of Maldives. 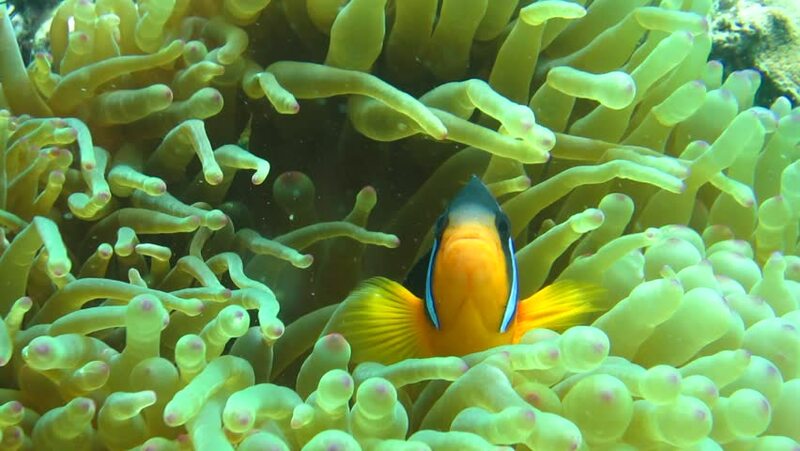 Swimming in world of colorful beautiful wildlife of corals reefs. Inhabitants in search of food. Abyssal relax diving. hd00:18Giant moray hiding amongst coral reef on the ocean floor, Bali.